Pokémon Go is not out in China. But that isn’t stopping fans from trying to play the game and developers from, well, yeah. It’s also possible to use hacked versions to fake one’s location, Quartz adds (see above). 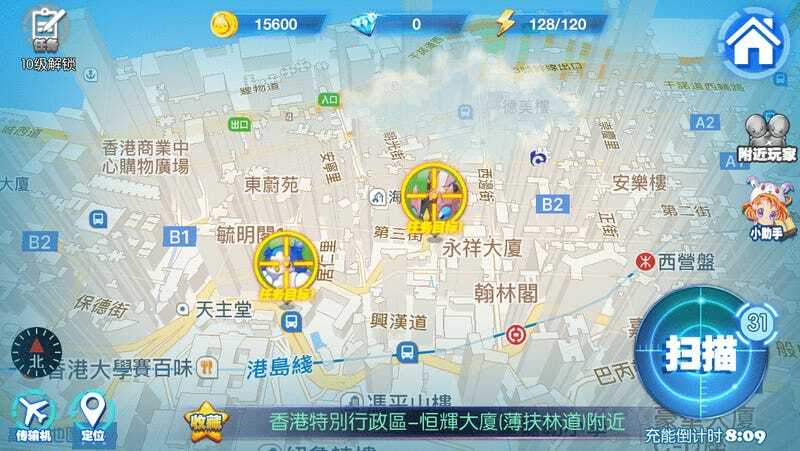 That enables gamers to fill up Chinese streets with, for example, San Francisco landmarks and catch Pokémon. But, who knows what kind of malware those hacks contain. What’s more, Niantic says that players who use mods or fake their locations could have their accounts terminated. As Tech in Asia and Quartz point out, there’s already what seems to be a clone called City Elves Go. Searching “Pokémon Go” on China’s App Store reportedly brings it up as the first search result. This is perhaps why the game has shot to top of the Chinese App Store charts. However, the game doesn’t use augmented reality, which is much of Pokémon Go’s appeal. Players apparently do have to go to the real world locations to catch the monsters, which is cool. The China-based studio behind the app told Quartz that it didn’t “consider any factors from Pokémon Go” while developing the game, but did add that the title’s character designer is a Pokémon fan.